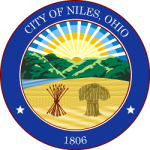 The City of Niles does not offer its own transportation, but we have many local options for public and private transportation to help you get to your destination! Trumbull County Transit provides countywide public transportation services to help people get where they need to go! Feel free to book your ride up to a week in advance. Our office is open weekdays from 8:00 AM – 5:00 PM. TCT transportation runs 365 days per year. Trips are scheduled on a first-come, first-serve basis. Depending on our schedule, we might need to negotiate days and/or times for your trip. If we cannot schedule your trip, you will be placed on our waiting list. If a spot opens up on our schedule, we will contact you one day in advance. At that time, we’ll do our best to accommodate your original trip. he unique transportation system delivers rides on a first-come, first-served basis, Mondays through Fridays from 7 AM to 6 PM and weekends and holidays from 8 AM ‘til 3 PM. $2 senior rides anywhere in Trumbull County! WRTA is a vital part of Trumbull and Mahoning County’s economy, giving thousands of neighbors a lift to their jobs, medical appointments and shopping. Please visit the WRTA website for more information. The WRTA offers a route called the Warren Express. Please view schedule and route here. Uber offers access to rides, on demand. Giving riders—and drivers—the power to get where they want to go. Click here to learn how it works! Visit uber.com or download the Uber app on your Apple or Android device. Lyft offers access to rides, on demand. Giving riders—and drivers—the power to get where they want to go. Click here to learn how it works! Visit lyft.com or download the Lyft app on your Apple or Android device.